In interviews, more than 35 students active on the page said the memes group offers a virtual, niche community for students to engage with each other on an urban campus. 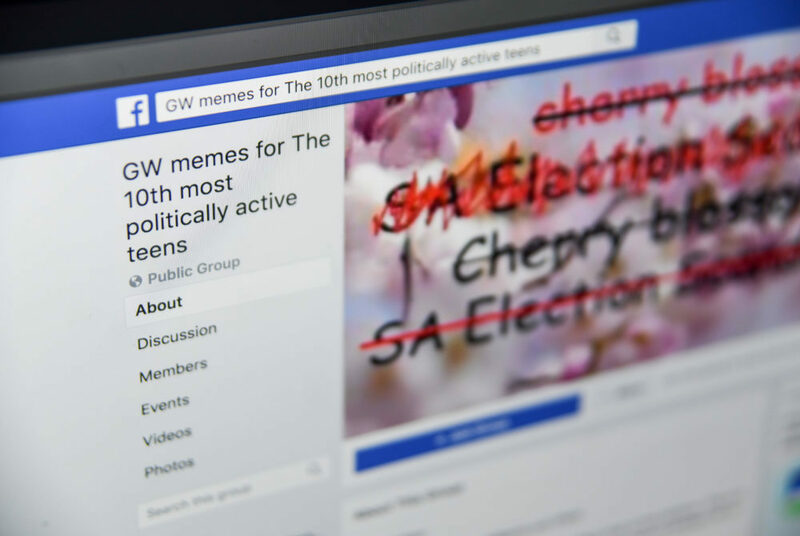 Sophomore Chazz Freeman had more than 300 Facebook notifications when he logged into his account Sunday, just one hour after he posted on “GW memes for the 10th most politically teens,” a private, student-run group on the platform. The post was a screenshotted article headlined, “Trump referred to the Vern as ‘shithole’ campus,” that Freeman photoshopped from a recent NBC News story, “Trump referred to Haiti and African nations as ‘shithole’ countries,” a comment that dominated the news nationally much of last week. He captioned it #NotMyPresident. 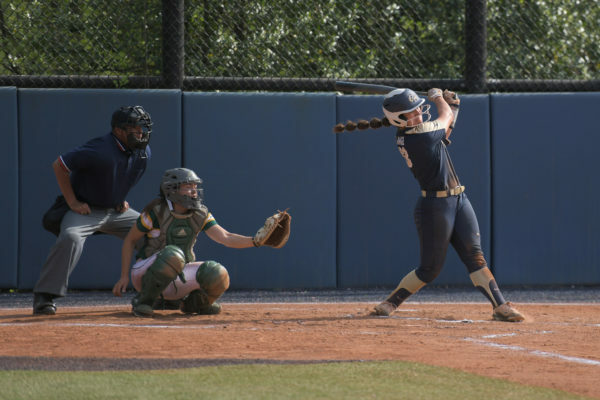 The inside joke fed into the widespread perception within the student body that the Mount Vernon Campus is isolated from the rest of GW and the bustle of downtown D.C. that attracts many prospective students to the University. The meme was a quick hit among students – the only group who would understand the well-known sentiment behind the joke. In interviews, more than 35 students active on the page said the memes group, which launched less than a year ago, offers a virtual, niche community for students to engage with each other on an urban campus where they otherwise connect only within their respective clubs or majors. They said the page creates a large, interactive community that validates many experiences students have on campus. Junior Jake Kania and senior Alaina Taylor said they co-founded the GW memes page last March after they saw the popularity of the University of California-Berkeley’s meme group, which has raked in more than 140,000 members since it launched in 2015. They said the group had the potential to unify thousands of students to collectively joke about all things GW. The page took off last April when memes repeatedly lampooned the Student Association election scandal that disqualified a presidential candidate from the race. Within one week of its launch, membership rose from 100 to 1,000. Today the page has more than 11,000 followers, Kania said. For the last 60 days, there have been about five posts per day in the group, and roughly 96 percent of the group’s membership is considered “active” on the page, according to data from the platform. Taylor said the group serves as a way to bridge connections between students by posting about trending topics like University spending – which was widely criticized following University President Thomas LeBlanc’s $500,000 inauguration celebration in November. The page, which originally referred to the “most politically active teens,” changed its name last summer after GW lost its vaunted title as the most politically active campus in the nation. “The most unity people have is just shitting on the school together or talking about how bad the school is together,” Taylor said. She declined to say if posts on the page show a level of dissatisfaction with student life at GW. Sophomore Harry Levine, who has posted about five times on the page, said the group is a medium to validate and collectively laugh about student-wide grievances — like the stretch of H Street between Gelman Library and District House, which students have often criticized as unsafe. Similar pages have popped up at elite universities across the country. GW’s group now ranks as one of the most well-known major college meme pages, in terms of members per total undergraduate student population – GW clocks in at .9 – according to a November report by The Daily Californian, the student newspaper at UC Berkeley. “I think it will be something very interesting for a very long time, or something students can reminisce about or use to stay involved in the campus events – even more so than the campus newspapers,” she said. Social media experts said college meme groups are unique in their ability to rapidly transmit easily digestible information. Lucian Lu, an adjunct professor of communication, said on an urban campus where students have busy, dispersed lives, meme groups offer “something quick, light and humorous” to help build a community and make light of students’ stressors. 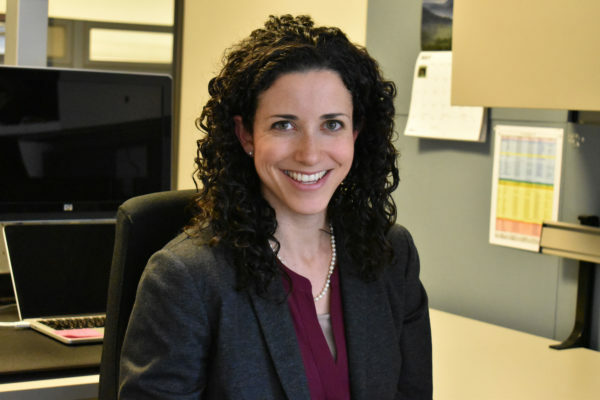 Jennifer Grygiel, an assistant professor of communications at Syracuse University, said successful meme pages could indicate that students want to build a community they can’t find on campus. “If I was an administrator at the school, I would also take it as a signal that ‘hey, maybe we should also be facilitating more real-life meetsups as well,’” she said.